Microsoft is keen to roll-out Windows 10, offering free upgrades to their users of Windows 7 and Windows 8 versions of Windows. If everything goes according to plan, you will be up-to-date with the latest technology. However, things don't always run smoothly, problems can occur along the way. We have already helped users facing failed windows 10 updates, when they did not have the time or the technical know how to sort out the failure them-selves. If you have a problem with your windows 10 update, give us a call and one of our experienced engineers will be able to help you. Here at Caultex Technology we have already upgraded users PCs and tried and tested Wndows 10 on various different equipment installations so are confident we can help you. We are pleased to support businesses with a planned update to Windows 10, where any glitches causing down-time can have a serious impact on the smooth running of an office. So whether it is your home PC computer or your networked computers in the office, we can help you through the upgrade and solve any problems quickly and confidently. 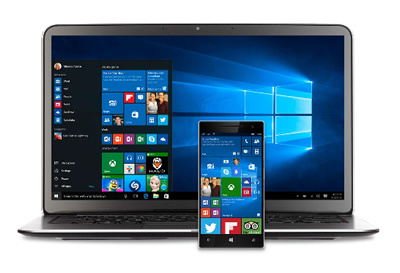 Let us take the stress out of upgrading to Windows 10.